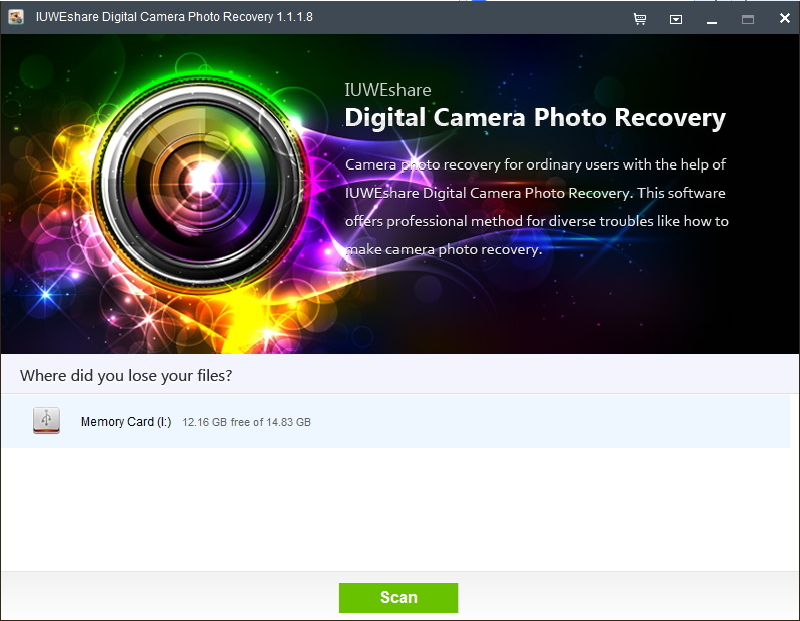 IUWEshare Digital Camera Photo Recovery(Win/Mac) can recover videos like MP4, AVI, WMV, ASF, M4V, 3GP, MOV, MPEG, DV, 3G2, M4B, AVCHD Video File (MTS), Divx Encoded Movie File (DIVX), Matroska Video File (MKV), MOI Video File, OGG Media Player (OGM), Video Object File (VOB) etc. from Canon Vixia camcorders due to accidentally deletion, memory card formatting, storage media corruption, improper option, virus infection and more. Apart from videos, you can also use this data recovery software to retrieve deleted photos as well as audio files from Canon Vixia HD camcorders. Connect Canon Vixia camcorder to computer with USB cable or connect the memory stick with a card reader. 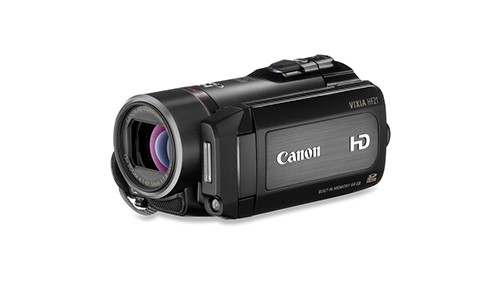 Run the software and select the drive that presents your Canon Vixia camcorder and hit "Scan" button to continue. After scanning, you can preview the found videos. Select the video files that you want and then click "Recover". Canon Vixia HF11, Canon Vixia HF20, Canon Vixia HF100, Canon Vixia HF200, Canon Vixia HF M30, Canon Vixia HF M40, Canon Vixia HF M41, Canon Vixia HF M50, Canon Vixia HF M52, Canon Vixia HF M400, Canon Vixia HF M500, Canon Vixia HF R10, Canon Vixia HF R20, Canon Vixia HF R21, Canon Vixia HF R31, Canon Vixia HF R32, Canon Vixia HF R100, Canon Vixia HF R200, Canon Vixia HF S10, Canon Vixia HF S21, Canon Vixia HF S30, Canon Vixia HF S200, Canon Vixia HF G10, Canon Vixia HG 21, Canon Vixia HV 30.